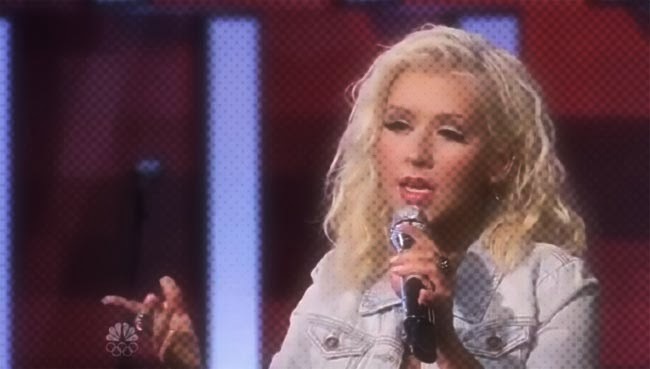 Diva Devotee: [New Music] Christina Aguilera Guest Vocals On Great Big World's "Say Something"
[New Music] Christina Aguilera Guest Vocals On Great Big World's "Say Something"
Christina Aguilera has bestowed her grace on the relatively (compared to her, at least) unknown A Great Big World. Having heard their melancholy Say Something played on So You Think You Can Dance, the singer was swift in sending word to the duo that the Voice of a Generation was willing to bless their track with her unearthly pipes. Unsurprisingly they accepted her overflowing generosity, and here we are today with this beautiful and haunting duet. A reigned in vocal was the order of the day, with Chrissy bringing a softer and sympathetic delivery to the song; never overshadowing or detracting from the lead. It functions as a reminder to vocalists everywhere that volume and power aren't the only way to impress an audience, with tone, timbre and control being just as inspiring to hear when used correctly! Take a listen to Say Something below. Those more marshmallow in constitution be prepared to tear up!